Volunteers will be needed on Saturday, May 11 at 1:00. Everyone to meet at the Granite Creek Cemetery. Please bring shovels, brooms and weed-trimmers if you have them. We will tidy up both sites and will need people to repaint the picnic tables at the town site (stain and brushes will be provided). They came from China, California, Vancouver and Victoria, and they wanted gold and adventure. Here you will find pictures, letters, maps, and stories from those early years. Do you have any stories, documents, photos, or artifacts? Please click here to tell us about them. 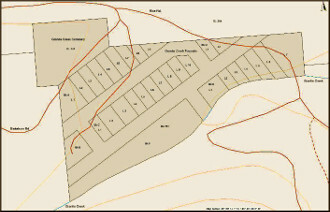 Map showing the boundaries of Granite Creek Townsite and Cemetry as recognized by the RDOS Area 'H' Heritage Register. Centre of map is N 49 30 14.1 W 120 40 49.3. Click image to enlarge. 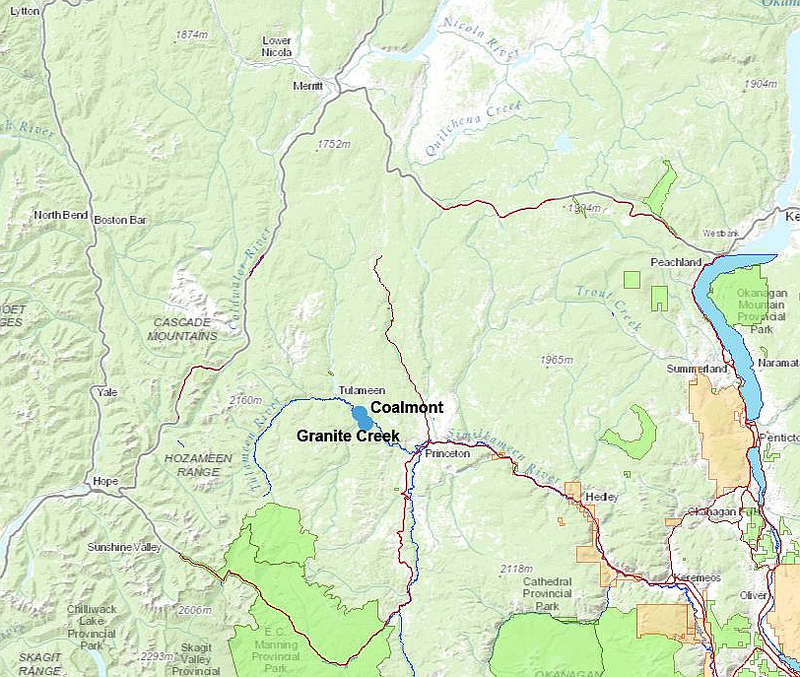 "The Granite Creek Town Site is valued because it is the oldest town in the area, as well as being the location of a major placer gold rush in 1885. 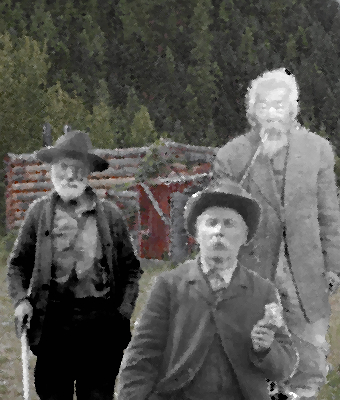 The discovery of gold at Granite Creek redirected interest in the area from fur trading to mining. Built by miners searching for gold, the town is a testament to early British Columbia mining history." 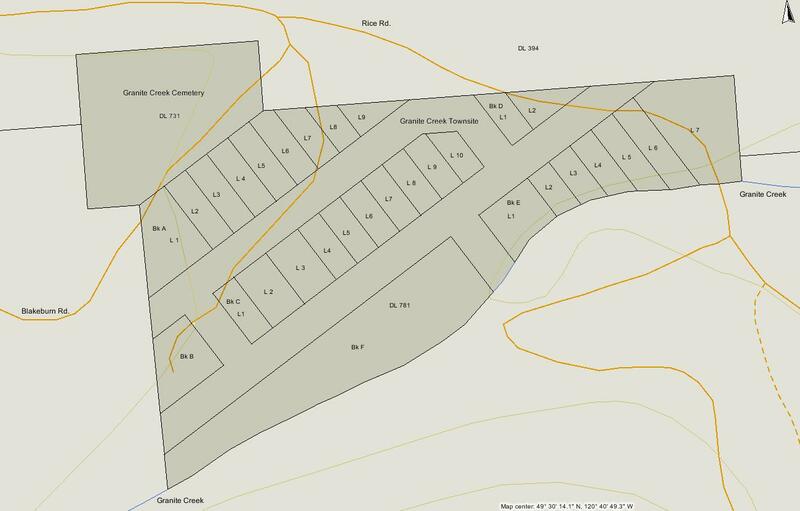 Click here to read the complete RDOS Area 'H' Heritage Register Statement of Significance for the Granite Creek Town Site and Cemetry. The meeting dates for 2019 are: January 17, February 21, March 21, April 18, May 16, June 20, (no meetings in July and August), September 19, October 17, November 21, December TBA.